Thanks to being unemployed for most of the year, I was able to find and watch (or rewatch) 110 of the “1001 Movies” (from various editions of the book series) since last October. Below are my 36 absolute favorites (so far), with a brief explanation of each. It’s unlikely that I will watch more than 30 or 40 of the “1001 Movies” over the next year. I mainly try to cherry pick the ones that break out of the “white American guys talking about white American guys” mold. You may notice that I also prefer documentaries and artsy dramas (generally not romance)/sci-fi. 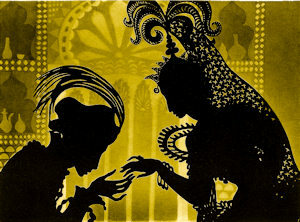 The Adventures of Prince Achmed (1926, Germany) – Jaw-droppingly beautiful paper-silhouette animation of a tale from Arabian Nights. M (1931, Germany) – Next to Metropolis, considered Fritz Lang’s masterpiece. Other than the comedies of Keaton and Chapin, I’ve had a hard time appreciating silent films. This is Lang’s first “talking” picture and the crime-drama noir is executed perfectly. Dance, Girl, Dance (1940) – A gem of a feminist film starring none other than Lucille Ball. Children of Paradise (1945, France) – A lavish film set among the Parisian theatre scene of the 1820s and 30s. Miraculously made during German occupation and considered by many to be the greatest (French) film ever made. Night and Fog (1955 short, France) – Ten years after the liberation of Nazi concentration camps, this documentary features the abandoned grounds of Auschwitz and Majdanek while describing the lives of prisoners in the camps. 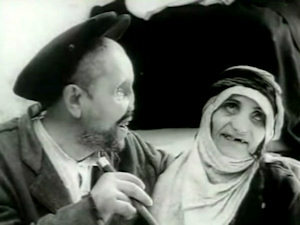 The House Is Black [YouTube] (1963 short, Iran) – An educational, artistic, compassionate, and spiritual documentary (less than 30 minutes long) about the Behkadeh Raji leper colony. Winter Light (1963, Sweden) – This one is particularly personal to me, and legendary director Ingmar Bergman himself claimed that he realized who he was and came to terms with himself during the making of this film. The Conformist (1970, Italy/France/W. Germany) – Probably the first political/psychological drama, and with hypnotizing cinematography. Until this month, there was no good undubbed version of this film. RaROVideo/Kino is releasing this on Blu-ray and an early review claims that there is an improved Italian voice track. Ready to watch again ASAP! Willy Wonka & the Chocolate Factory (1971 US/UK)* – It was pointless to remake this movie. The original is flawless and still stands the test of time. Taxi Driver (1976) – Unique cinematography, soundtrack, and amalgam of various themes. Alien (1979, US/UK)* – Giger. Weaver. Scott. Blade Runner (1982)* – Two Ridley Scotts in a row! I had seen this a long time ago, but was not impressed with it at the time. Seeing the 2007 “Final Cut” (the only one Scott had complete editorial control over) Blu-ray this year, I was floored by the cinematography and originality of the film. “More human than human” is our motto. Vagabond (Without Roof or Rule) (1985, France) – One of the greatest films about how we perceive others. The Princess Bride (1987)* – A treasure for the entire family. This fits the bill for so many different genres of film. I only wish it had stronger female characters in it. Broadcast News (1987) – One of the most clever scripts, nominated for 7 Oscars. 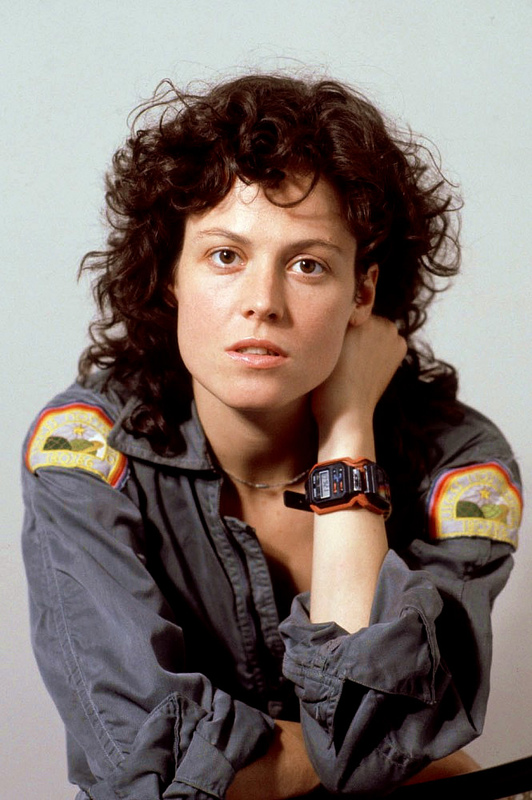 Holly Hunter is amazing in this. Rain Man (1988)* – I have hailed this as my favorite film for at least 20 years. Grave of the Fireflies (1988, Japan) – This barely beats Pom Poko and Miyazaki’s Spirited Away as my favorite Japanese anime feature. Dances with Wolves (1990)* – Kevin Costner’s labor of love. One of the most beautiful, thrilling, and tragic films – and the first blockbuster to respectfully portray Native Americans. On second thought, there was Little Big Man in 1970 which I should probably have on this list of favorites. Terminator 2: Judgment Day (1991)* – So many kickass characters in this film: Linda Hamilton as Sarah Connor, Robert Patrick as the “mimetic poly-alloy” T-1000, young Edward Furlong as John Connor, and of course Schwarzenegger reprising his role as the Terminator. My Own Private Idaho (1991) – A unique Shakespeare adaptation. Gus Van Sant has the rare ability to push themes normally relegated to the indie film scene into blockbuster territory. The Silence of the Lambs (1991)* – Jodie Foster and Anthony Hopkins in roles that you will never forget. Groundhog Day (1993)* – Surprisingly philosophical. My favorite Bill Murray performance. The Matrix (1999)* – Undeniably ground-breaking special effects and the first blockbuster from the Wachowskis. The Dark Knight (2008)* – Heath Ledger’s last major role. From the director, to the cast, to the crew, everyone is at the top of their game for this movie. Senna (2010, UK) – Documentary depicting the life and death of motor-racing champion Ayrton Senna. The archival footage is fantastic and has no formal commentary. Nostalgia for the Light (2010, intl.) – Focuses on similarities between astronomers in the Chilean Atacama Desert and the women who still search for remnants of their relatives executed during the Pinochet dictatorship. A Separation (2011, Iran) – Oscar for Best Foreign film, details the lives of everyone involved during an Iranian married couple’s separation. 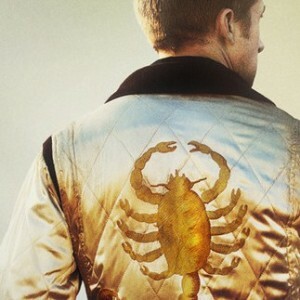 Drive (2011)* – Ryan Gosling & director Nicolas Winding Refn team up for the first time in this stylistic crime noir. The soundtrack and cinematography are… killer. The Act of Killing (2012, Denmark/UK/Norway) – Documentary about Indonesian killings of 1965-66. And the incredible reenactments of them by the original gangsters in modern day. Amour (2012, France)* – Devastating film about dealing with death and old age. In a World… (2013) – Written, directed, co-produced, and starring Lake Bell. A true laugh-out-loud comedy about voice-over work and Hollywood in general. In related nerdy news, I had wanted to post the full list of exactly 1001 films from the 2013 edition. This is still forthcoming, but I thought it worth mention that the 2014 edition is now available (so far just in the UK). Also, as a general update to my “Mega Spreadsheet” that I started at the same time as the “1001 Movies” project. My spreadsheet now has 3,295 movies listed, 436 more than the original list! These can either be films I’ve seen or films I want to see. We all have our own Movies We Want to See Before We Die. I’ll round up my 2014 favorites at the end of the year. Here’s a Dropbox link to the frequently-updated xlsx spreadsheet (which has a column for the “1001 Movies”). * These are films on the “1001 Movies” list that I had seen before this past year, although my memory of them may be a bit foggy. I have seen 339 of the films overall.